Some might call this a gimmick but I think its a really cool item to have. 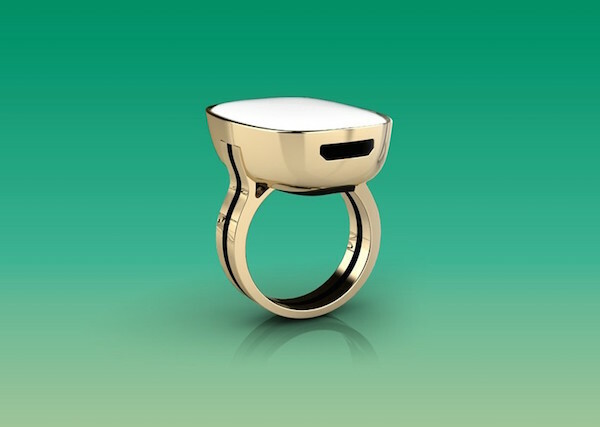 Known as a Smart Ring, this accessory tracks your mood and feelings. It then converts and displays it, allowing your to further understand your current state of mind and emotions. This is a powerful depiction of your current mood and might just help to get you more aware through adjustments. Started by Finnish company Moodmetric, it intends to read your emotions and transmit the information to your personal smartphone. What it does is to tap on a biometric sensor that would feel andsense your current feelings and immediately updates your phone through Bluetooth. So you get a better picture of what are your mood graphs in a day. Powerful mechanism to let you understand yourself better and make the necessary adjustments.“It tracks your emotion levels and reactions. It measures the small changes in your skin which come from the autonomous nervous system reactions which can tell you about your emotional state”.